My sweet Henry has been asking for a “new room” practically since we moved in over 2 years ago. Over the months, I did add some new storage, created him a Lego station and even put some updated art in the frames; but a full-blown makeover kept getting pushed further and further down the good ol’ To Do list. Every so often he would ask when he was getting his new room, and I’d always scramble for some excuse why I hadn’t gotten to it yet, feeling horrible every time. 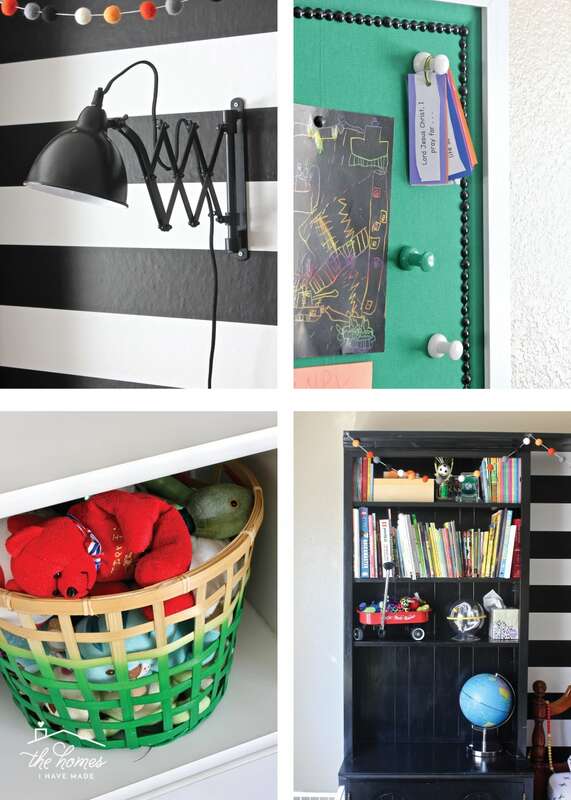 Then one day toward the end of summer break, I was catching up on my good friend Karen’s blog and read all about how she pulled off a room makeover for her daughter in a single day. A single day. I was totally inspired, and everything just clicked for me. I knew exactly what projects Henry’s room needed to feel refreshed. I already had some things in mind and other supplies gathered. And beyond wanting a room so badly, he also deserved it: he’d been working hard all summer on his extra reading and writing practice, and we were just weeks away from Second Grade starting. 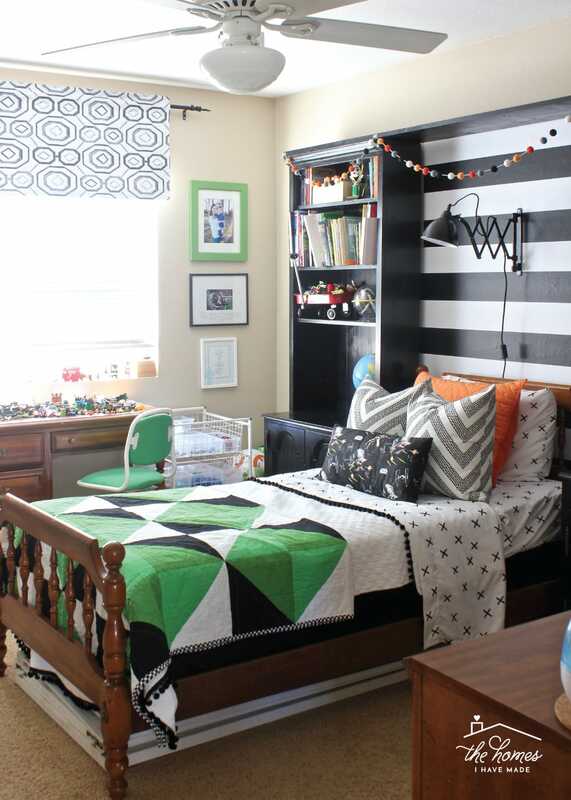 I decided then and there that I would makeover Henry’s room as a surprise. 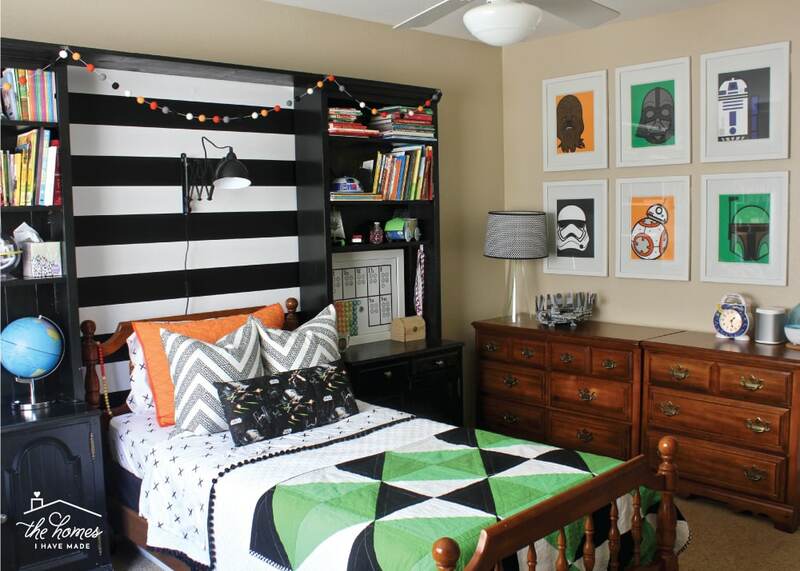 He didn’t know what was happening or when…I simply asked him if he wanted a Star Wars Bedroom or a Lego Bedroom. He picked Star Wars, and I (mentally) committed to making it happen ASAP! 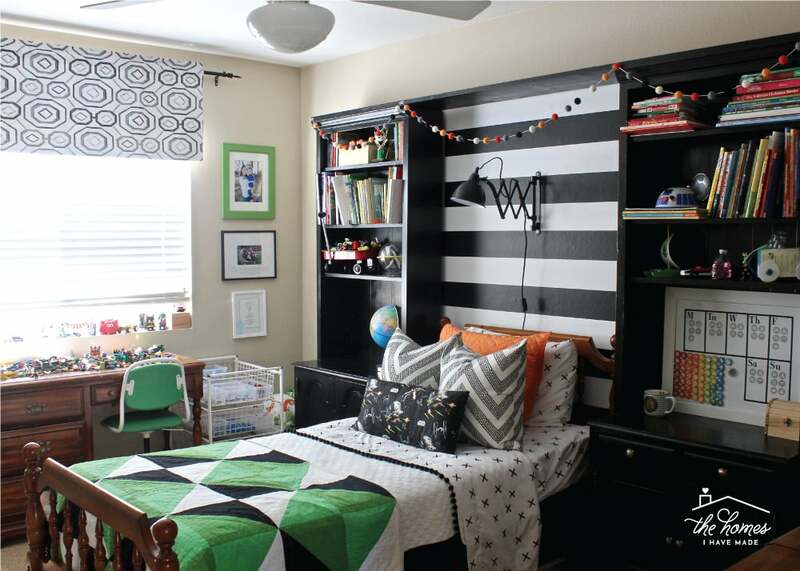 He came home from his last day of Summer Camp to a brand new room, and I am so excited to share it with you all today! 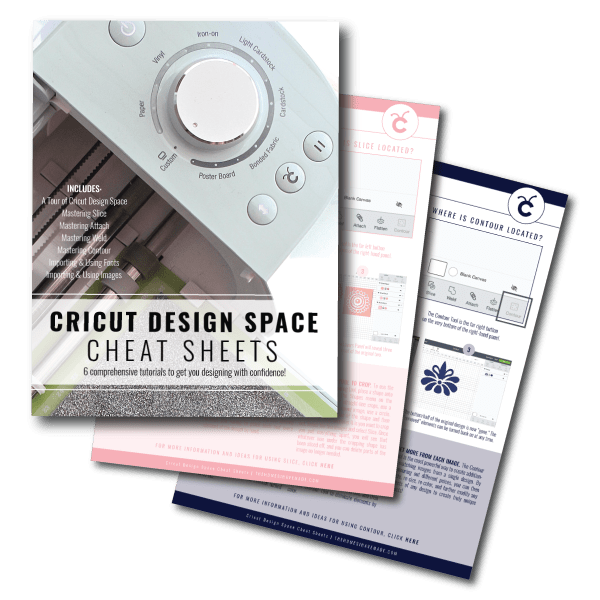 Not only was pretty much every nook and cranny stuffed with toys, schoolwork, books, Legos, too small clothes, art projects and more…but we never fully committed to any kind of design. I put up a curtain rod but never added a curtain. I added Lego artwork when I thought we were going in that direction but never followed through getting rid of all his old jungle-themed accessories. By the time I actually got to work in here, you could barely walk. Although he loved the makeover when he walked in, I think he was more excited with how picked up and clean everything was! 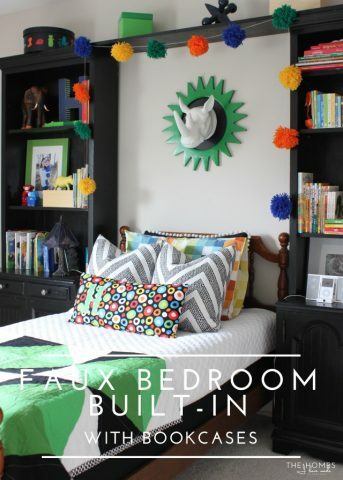 Today, I want to pretty much focus on the room reveal itself, as I have another post in the works that details how I pulled off this room makeover in a single day. Sure I planned ahead and made a few projects in the days leading up to the makeover itself, but the real victory with this makeover is how manageable it was. 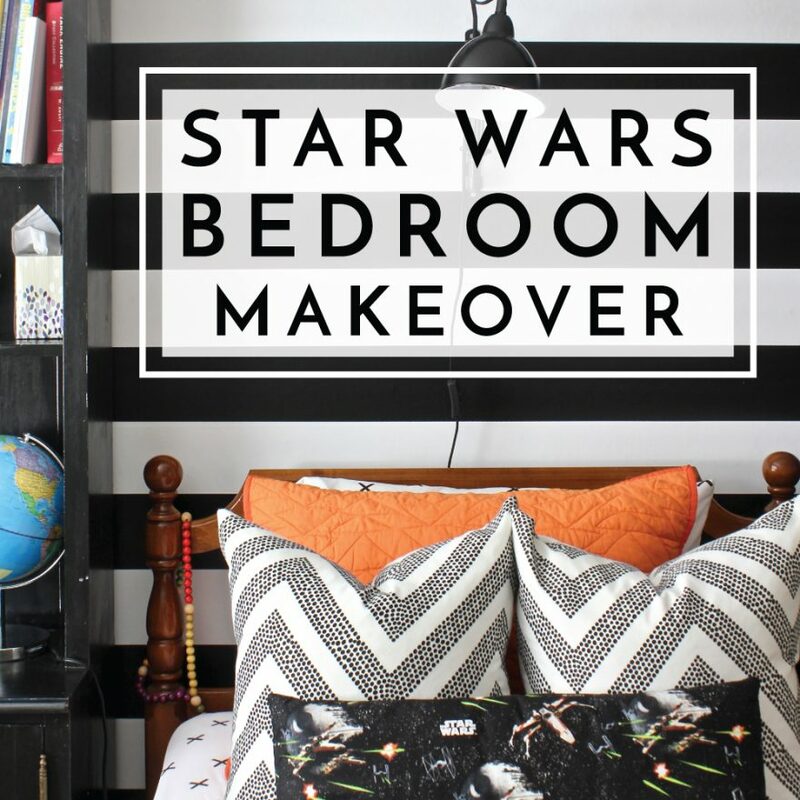 As a blogger, I will admit I sometimes get carried away with my room makeover ideas. 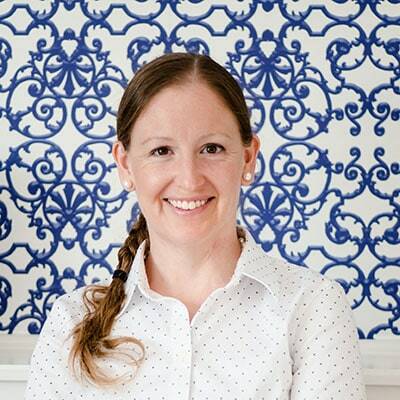 And I know some things I present here on the blog most people, especially renters, would never take on. But in recent months, my perspective has really started to shift. 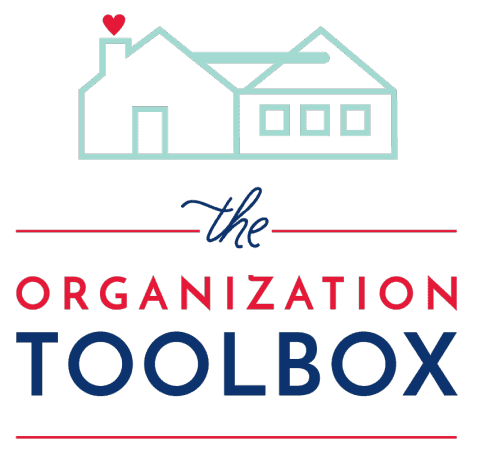 Not only do I want to share practical, realistic, and do-able ideas, but our family needs our projects to be those same things. We are a really busy family with busy kids, and if you can believe it…we are already staring down our next move. Time is not exactly on our side. And as much as I would have loved to start from scratch and pull off a really dramatic makeover for you, it just wasn’t in the cards for us. So I instead focused on the things I could reasonably do in the timeframe I had on the really small budget I was willing to spend. Henry’s two main requests were that 1) the walls look different and 2) he had a reading light over his bed. After working those two ideas in, I embraced the bones of the room and added in some small, inexpensive themed accessories. 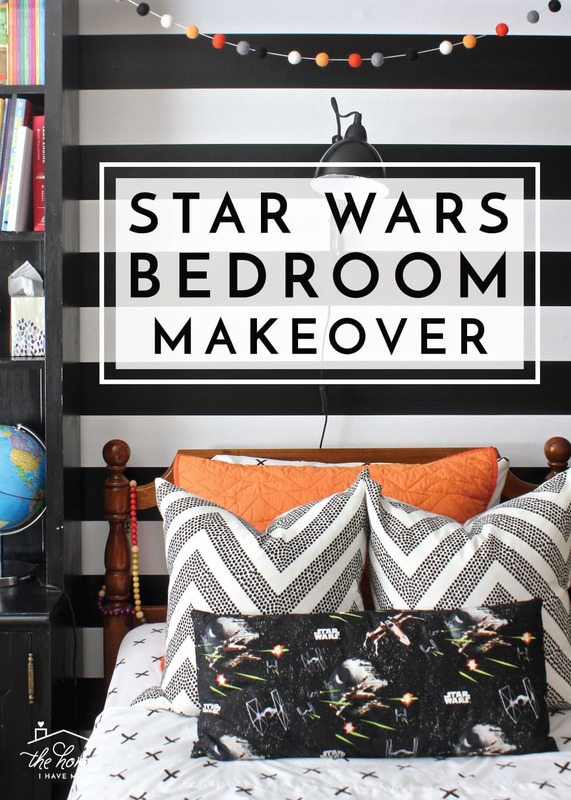 The result is a room makeover that ranks among my favorites. 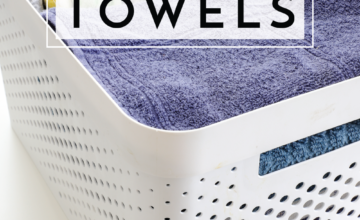 And not because it’s overly “pin worthy” or so awe-inspiring, but because it was practical, manageable, and exactly what we needed. 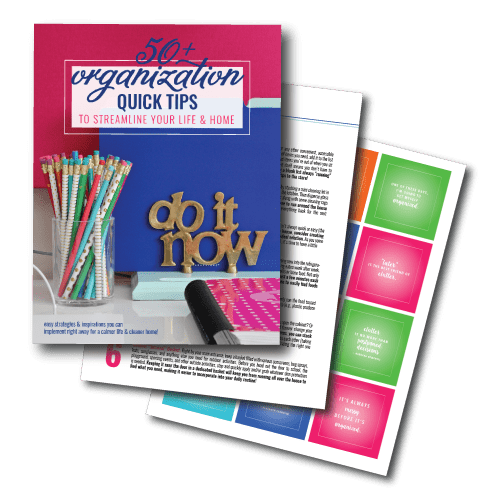 I focused in on projects and updates that provided a lot of bang for their buck and prioritized function over form at every turn. When Henry walked in, he said it was “amazing,” and he’s kept it picked up and looking great ever since! Let me show you every last detail! 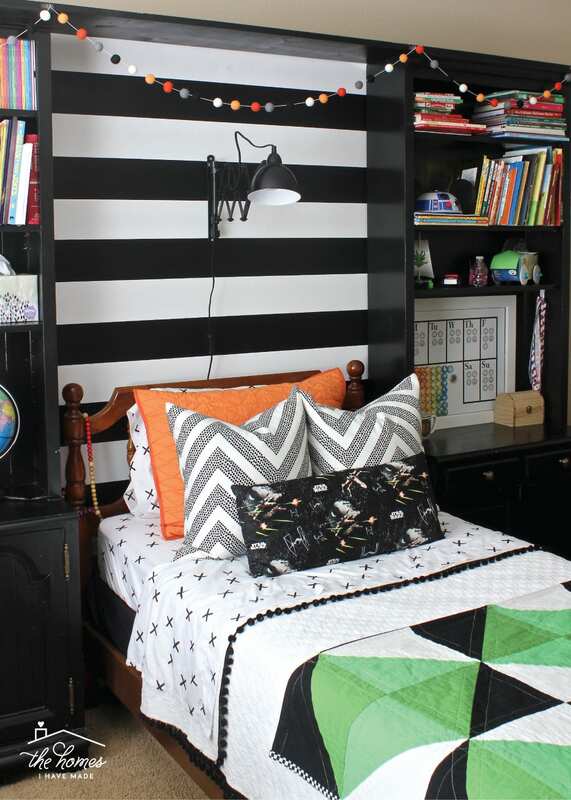 By design, the main focal point of the room is Henry’s bed and the “built-in” bookcase that surrounds it. 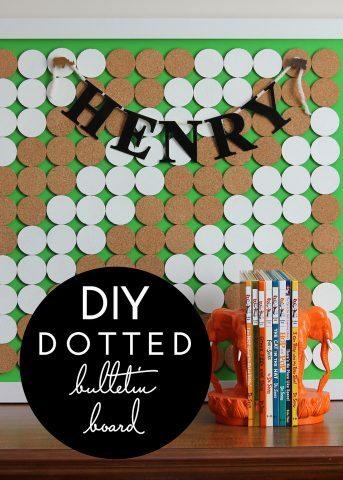 Henry really wanted his walls to look “different,” but at this point, painting is out of the question (yes…I still regret not painting his walls white when I had the chance). I have gotten into the habit of snagging peel-and-stick wallpaper from Targets endcap’s whenever I see it discounted. 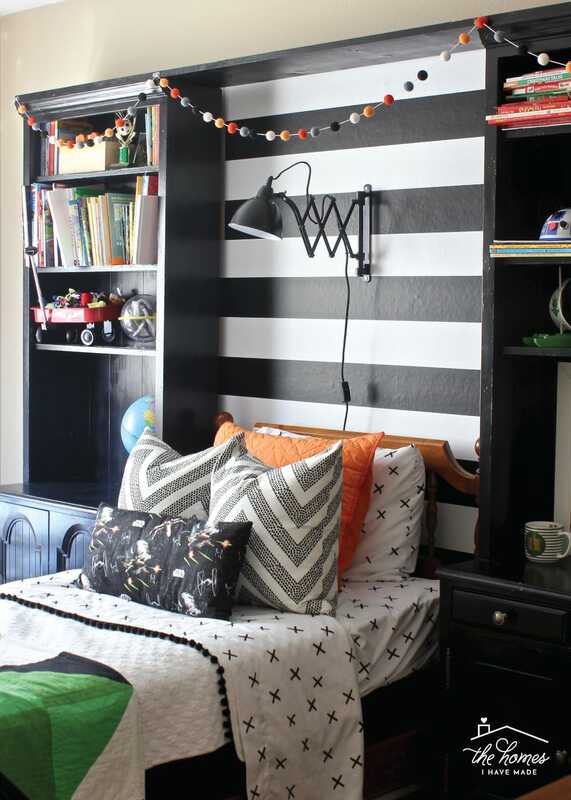 When I got this roll of black-and-white striped paper for $10, I knew it was the perfect way to give Henry that “different” look without the commitment of paint! 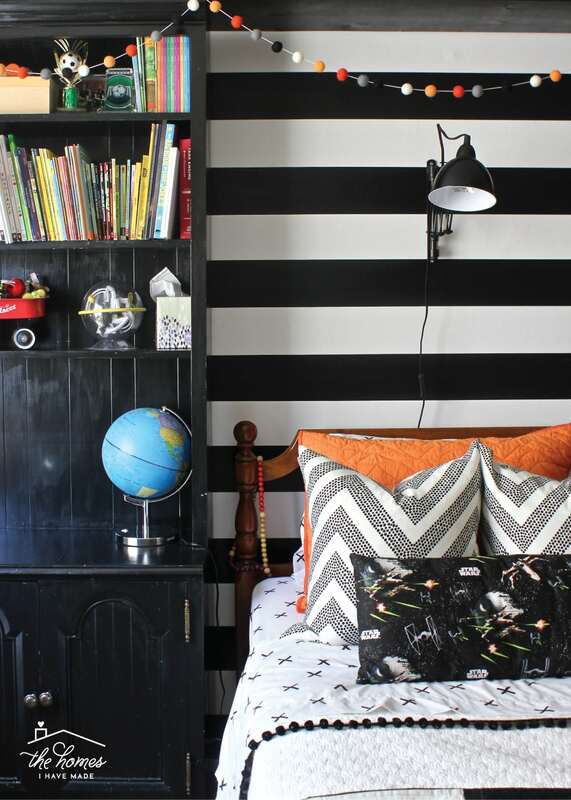 I have said it before, and I will say it over and over again: never underestimate the power of a classic stripe to wake up a room. Seriously. It’s almost like magic. A single roll was just the right amount of paper for this nook behind the bed; and I’m pretty sure I would not have been able to achieve such a dramatic change, for so cheap and so quick, with anything else! Henry’s other big request was a reading light over his bed. Although it’s not impossible to hardwire light fixtures in a rental, that was a bigger project than I wanted for this space. When I found this black accordion sconce (that plugs in!!! ), I knew we had our solution. It took me 10-minutes to install, and it’s easily Henry’s favorite thing ever! 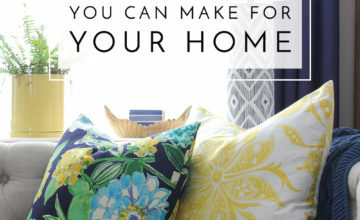 When I am doing bedrooms, my absolute favorite thing to pull together is the bedding. 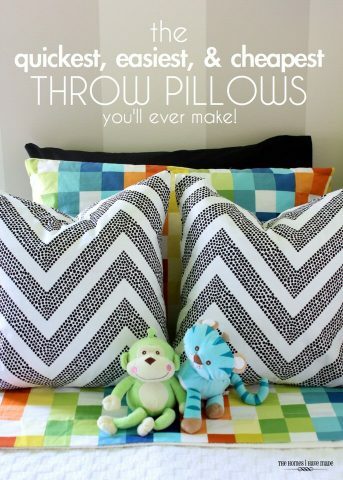 You guys know I love to mix-and-match patterns, and I just love all the options for bedding and pillows! I purposely selected neutral “foundation” pieces for Henry’s bedding when I first did it a few years ago. 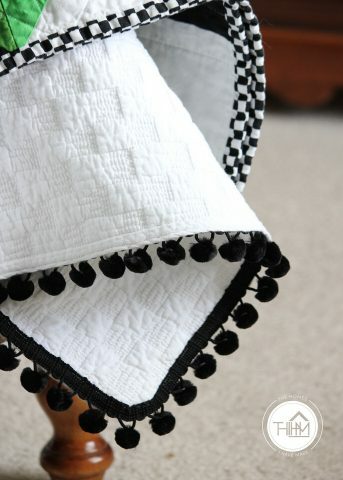 A white bedspread with black pom-pom trim and some black-and-white throw pillows are simple enough to work with a variety of different themes and colors. I found the black-and-white sheets on clearance at Target, as well as the orange sham. 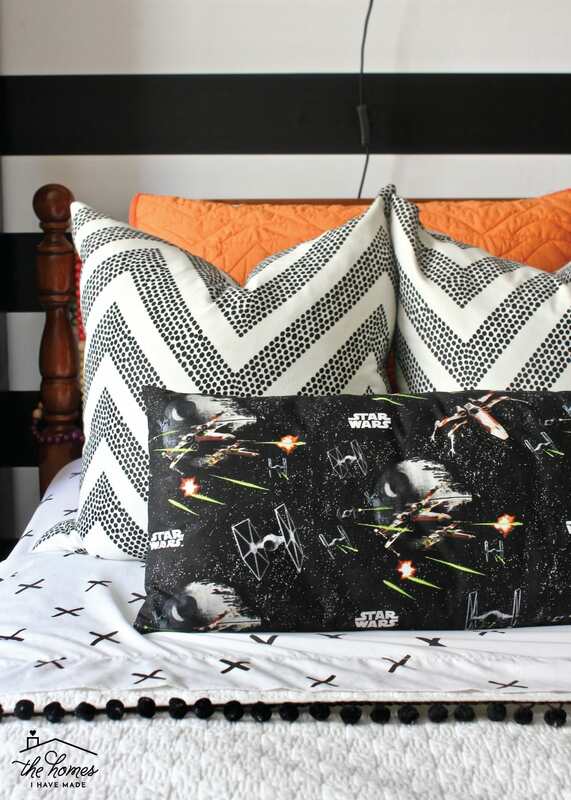 When I came across the black, white, orange and green Star Wars fabric at JoAnn, it was exactly what I needed to pull all the new bedding together with his original green quilt. I didn’t really add anything here to Henry’s old bed setup, I simply swapped some elements to give it a fresh look. 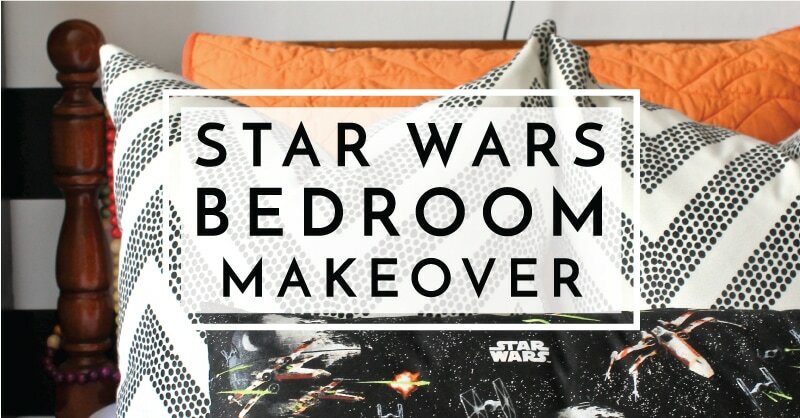 New sheets, a new pillow sham, and re-covering his old lumbar pillow with the Star Wars fabric created an entirely different vibe to match the new theme…all for around $25. Beyond majorly decluttering out the bookcases, the other element I added was a felt ball garland. I liked that this garland adds something whimsical to the bookcases (and it kind of looks like planets), and it brings some of the colors of the room together. Looking at it now, I wish it had green felt balls too, but that’s a pretty specific color scheme 😉 You never know what a kids going to notice, and this garland was a feature he liked more than I expected. 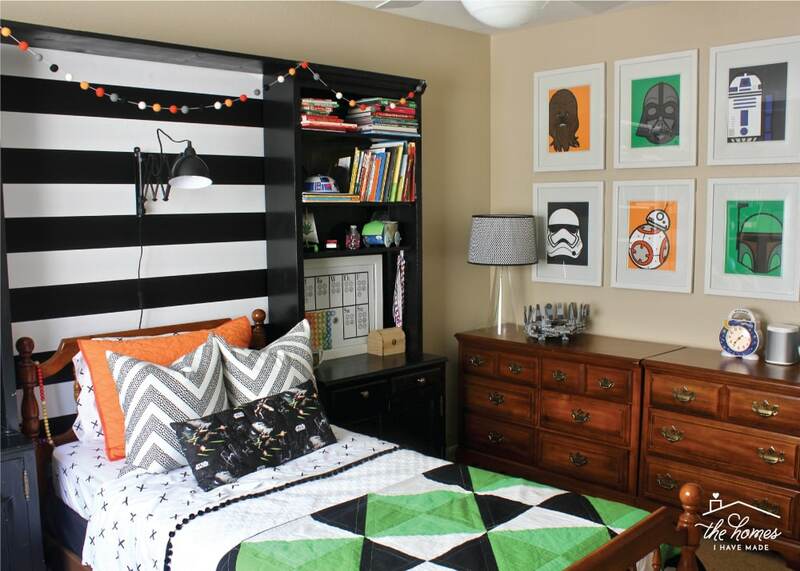 So far…the green and orange may seem a little disconnected, but that’s only because you haven’t yet seen it in context with his new Star Wars gallery wall that sits above his dressers! Now with the full room in view, you can see how the whole theme and color scheme come together! 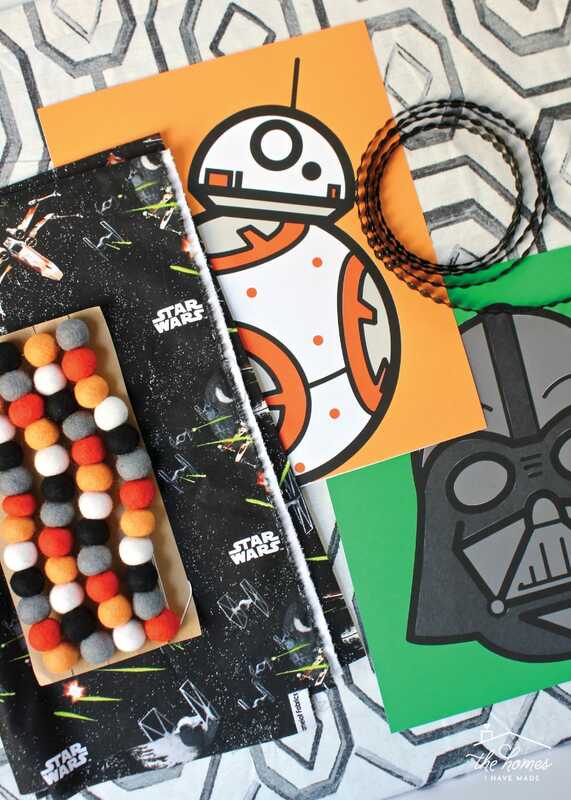 If you can believe it, I made those Star Wars art pieces myself using $3 worth of cardstock and my Cricut. They are easily my favorite thing in the entire room, and I can’t wait to show you how I made them in an upcoming tutorial. In both subject matter and color palette, they are what tie this whole room together in such a simple but totally effective way! 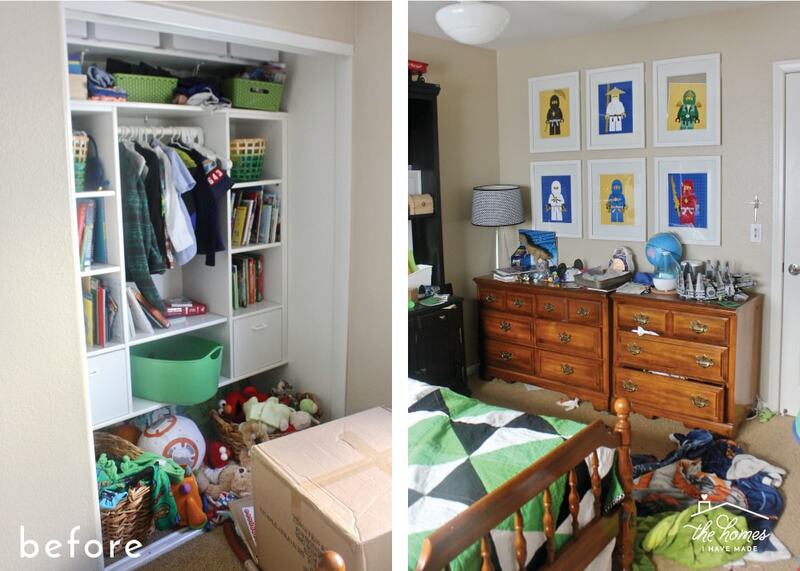 One look at those before photos will tell you that beyond decorating Henry’s room, I also had some serious decluttering to do. 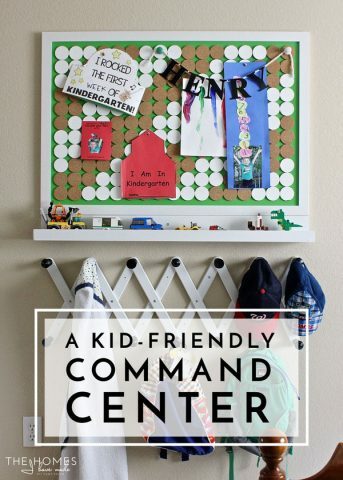 Ever since I ruthlessly decluttered our playroom, we’ve been able to keep it clean and tidy. I knew if I did the same thing in Henry’s room, he’d have an easier time keeping it cleaner too. I took into account the things he loves (like his stuffed animals, Pokemon cards, and Legos) and the projects he was so super proud of and then purged out most of the rest. Just like when we did the playroom, he hasn’t once noticed what’s missing, but only knows he can see and play so much easier in his room now. The blogger in me can’t believe I’m showing you more photos of empty shelves…certainly, I could have styled them, at least for the photo shoot. But I chose not to. For one, I want to show you what this room really looks like…as Henry lives and plays in it each and every day. Second, clear spaces have become really important to me lately. I’m working hard to clear out the stuff we don’t need to make room for the stuff we do, and those blank shelves are the prize for all my efforts. I simply don’t want to fill them up with accessories for the sake of photos or looking good. 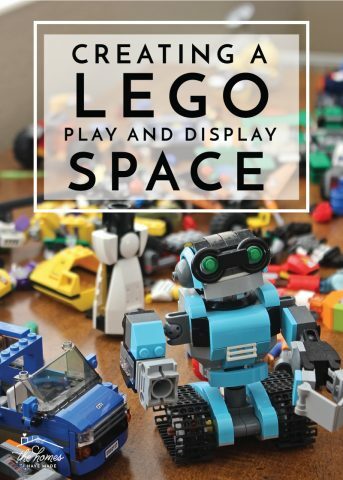 I’d rather leave them empty so that when Henry brings home a project he wants to display or builds something with Legos that he doesn’t want to take apart, we have somewhere to put it! 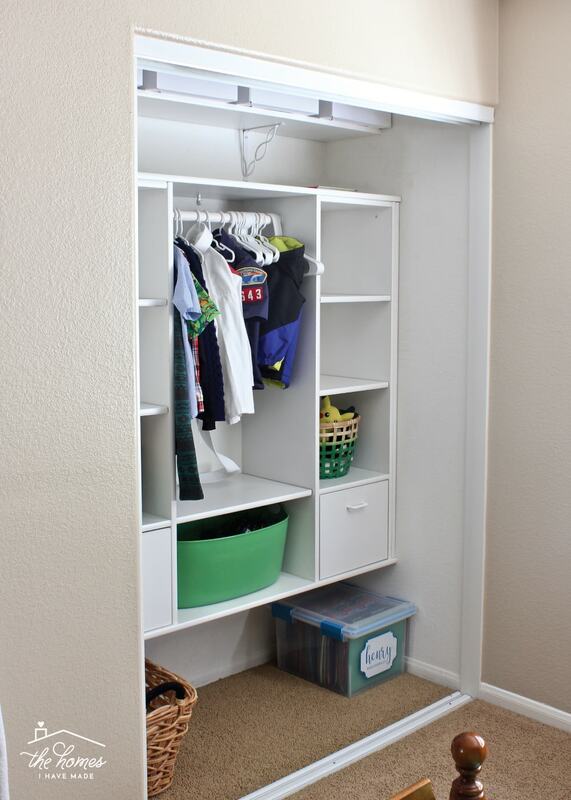 Oh – and you probably also noticed Henry’s closet doesn’t have doors on it. He did – they were the sliding kind that you can’t get around and everything gets caught in or behind. We chose to take them down and store them under his bed until we move out. Not only can Henry better access the things in his closet (and therefor put things away! 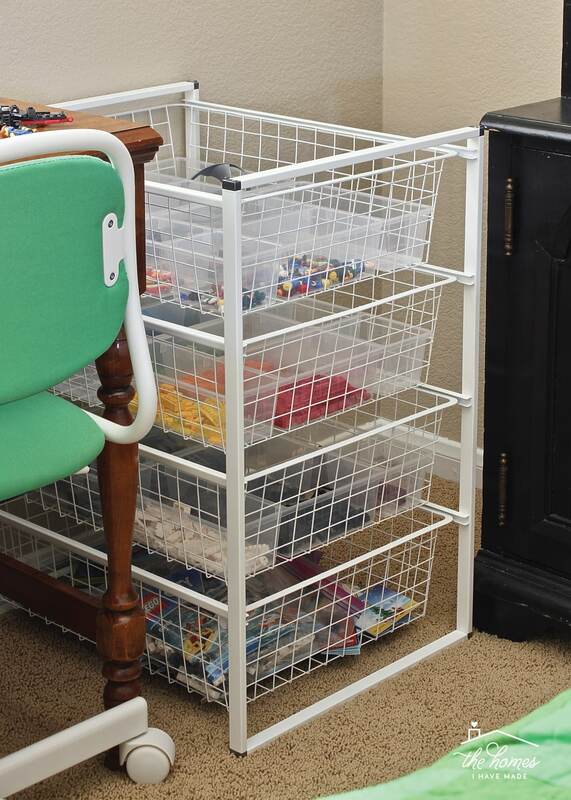 ), but the doors also prevent items from getting stuffed under the bed…win win! Last but not least, let’s chat about the area under his window. Henry currently does all his homework at our kitchen table and we have an almost 2-year old, so this desk is primarily his Lego workstation. 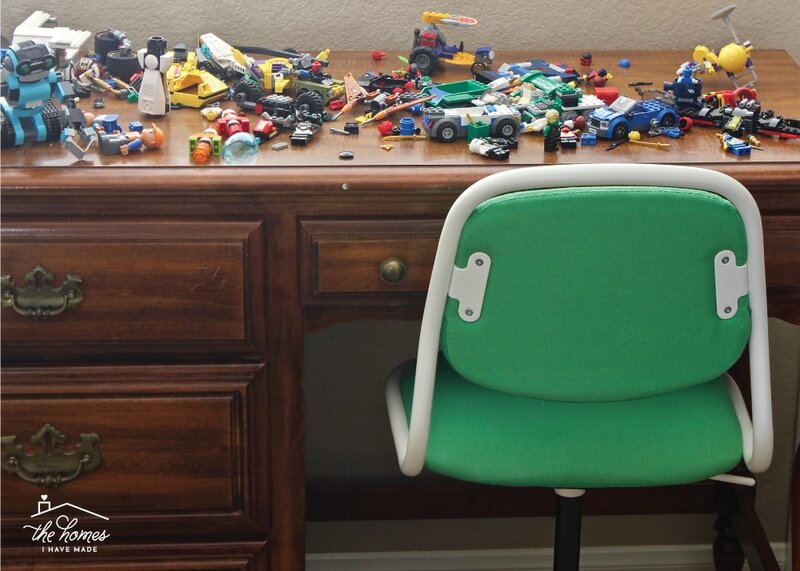 Although we don’t keep them picked up on a regular basis, our Lego drawers are still working great. 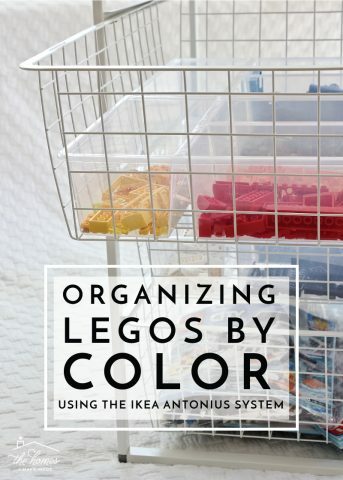 They do make getting the Legos cleaned back up quick and easy; and since Henry tends to build by color now, the color sorting has been a great solution. The only problem is these drawers are easily accessed by little fingers, and you better bet when the door is left open, Sam makes a b-line for these drawers! On the curtain rod above the window is another one of my favorite elements in the room…not necessarily because of how great it looks (which is does), but because of how lucky it came together! Long curtains weren’t an option here because of how the desk is situated, but I still wanted something over his window. 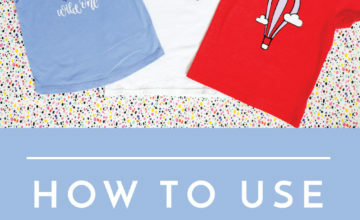 I pretty much crawled every inch of Target’s website for something that I could transform into a simple window treatment. 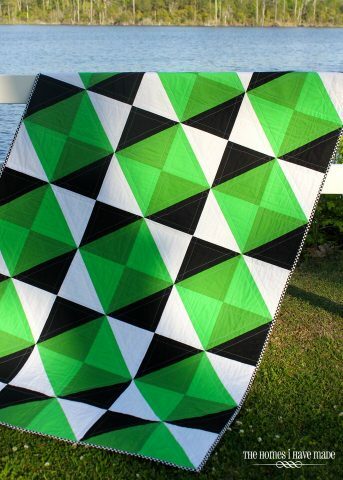 On a whim, I ordered this curtain panel with the hopes of turning it into a valance. Well…it was a lucky purchase indeed. Not only was the curtain’s length just enough to fit across the window, but it was 100% lined so it wouldn’t look funny with sunlight streaming through. To make the valance, I simply rotated it 90 degrees (because I needed the length as the width), cut it in half, and folded the cut edge over and sewed it shut to make a rod pocket. 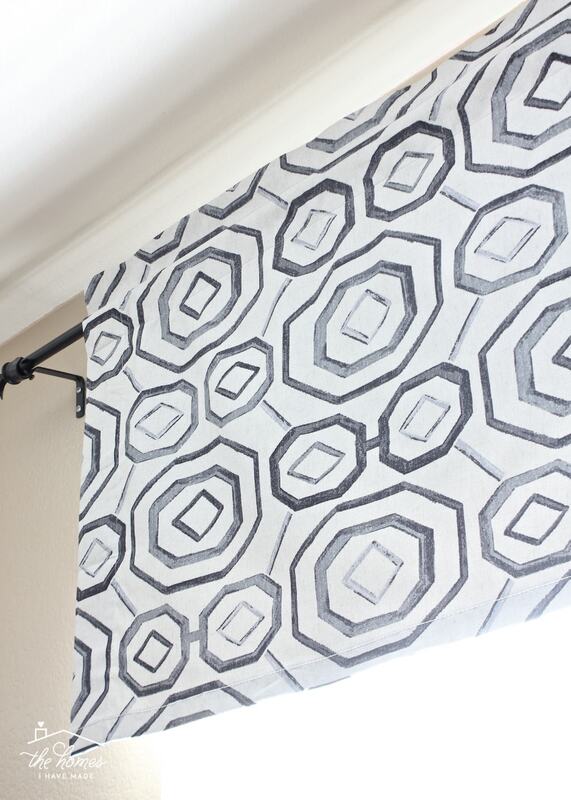 The circles on the fabric turned out to be a perfect nod to the Star Wars theme, and it was such a quick and budget-friendly way to add a decorative detail over the window. This room is not “designer perfect.” I would certainly love to have white paint on the walls, a splash of color along the back of the closet, and some better styling on the bookcases. 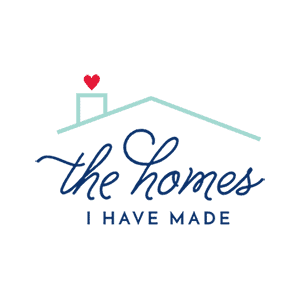 But for us…and our family…and our budget…and our constraints…this makeover is everything I hoped it would be and more. In a single day and for about $150, I was able to give Henry a brand new room that he adores and is just so proud of. It contains all the things he loves and none of the clutter he doesn’t. There is just enough theme without it smacking you in the face or requiring a fortune to un-do it all when he moves on to something else. 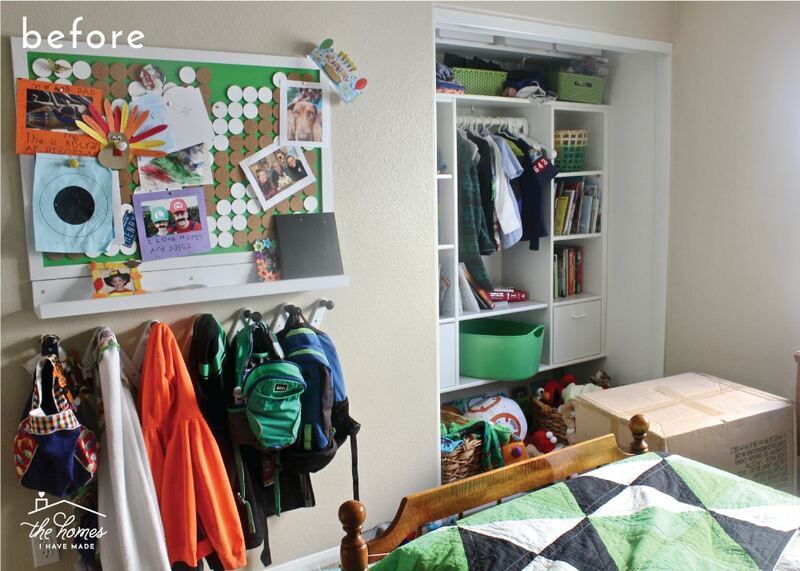 This makeover, and Henry’s reaction to it when he came home from his last day of summer camp, reminded me why I do what I do to our homes…not for pictures or likes or pins…but because it makes us feel good and helps us love the spaces around us more. I’m so glad I carved out the time to do this makeover for him!! I’ve done my best to source the products that are used in this room! 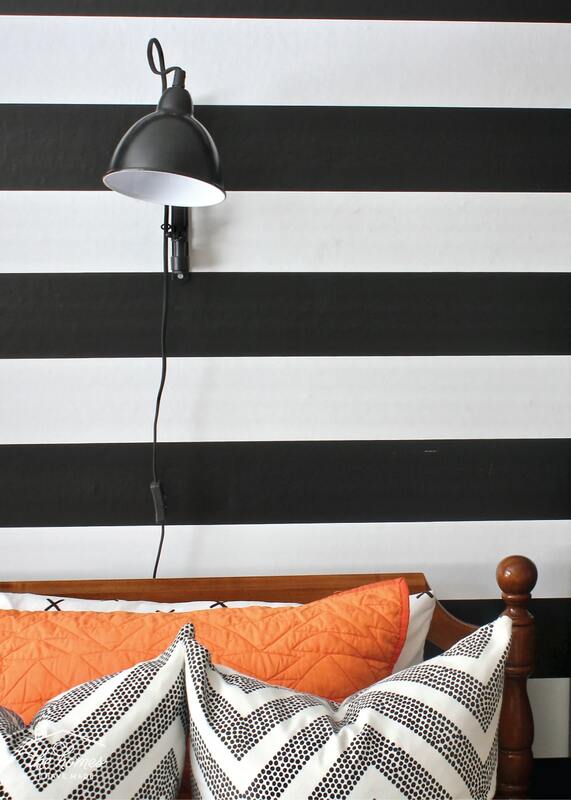 Black and White Sheets – from Target, no longer available but these would be cute too! Additionally, there are a bunch of DIY projects seen throughout this room that I’ve done as part of this makeover or in the past. I will link them all for you below and add to this gallery as additional tutorials are published! Finally…here’s one last look from both angles of the room! It’s been a good long time since I’ve revealed a room makeover here on the blog, so I hope you enjoyed it! I’ve got a few project tutorials related to this room that I’ll spread out over the next few weeks so keep an eye out for those! In the meantime, have a great start to your week, and don’t hesitate to leave any questions about this space in the comments! What an awesome room reveal and both real and inspirational-thanks as always for your honesty as well as your hard work. I love that you keep it real!! 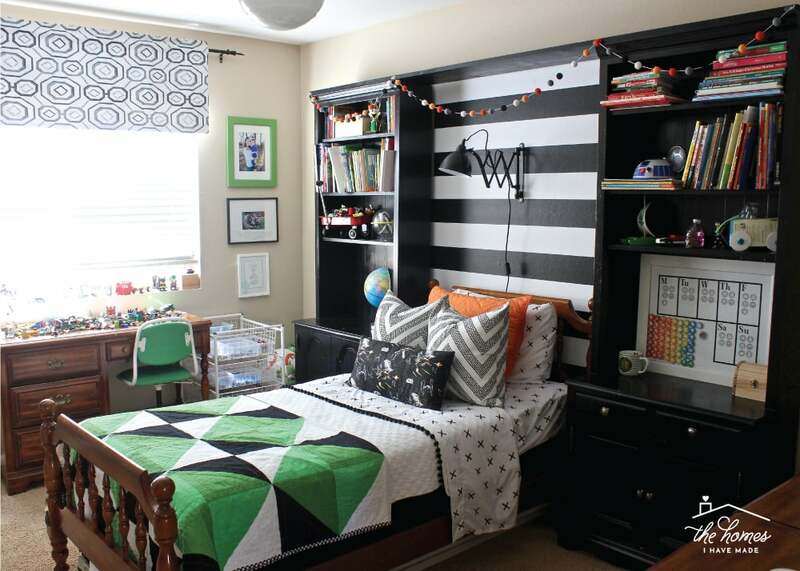 Thanks for sharing your son’s bedroom reveal. 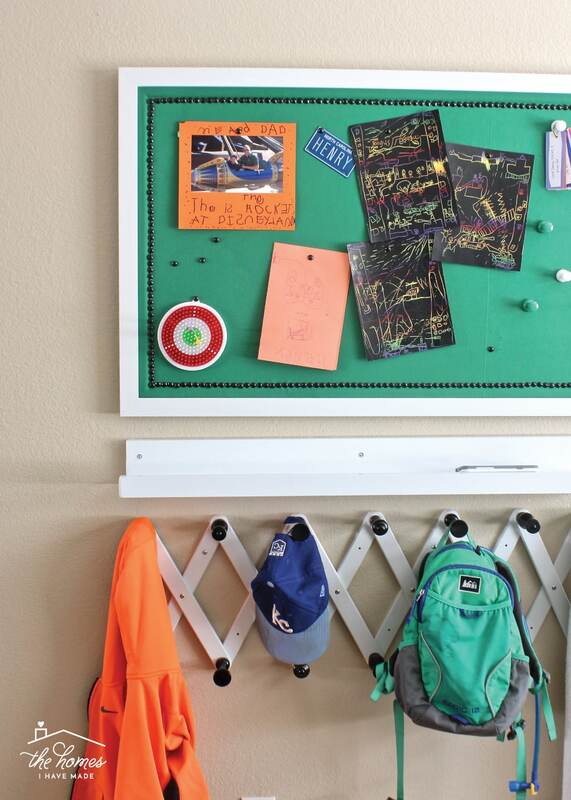 I love that it is pulled together and practical for him. 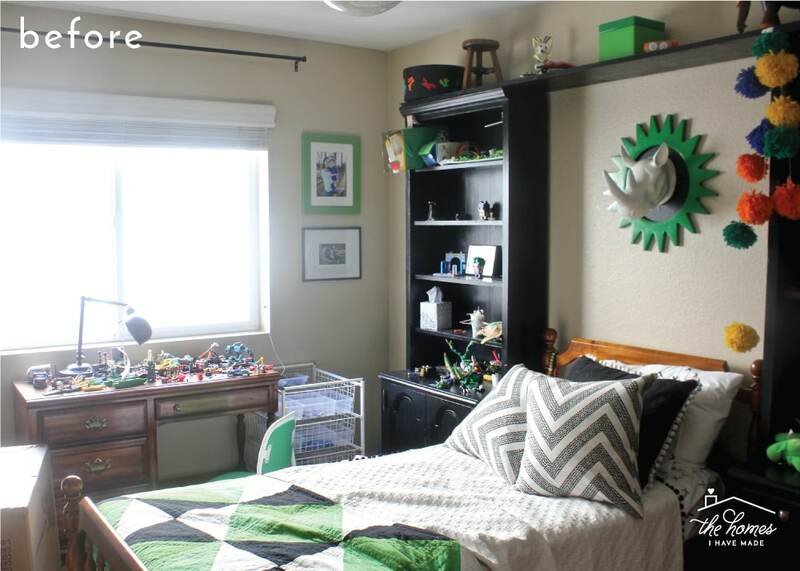 I recently decluttered my son’s bedroom but it has no theme. Thanks for the ideas! 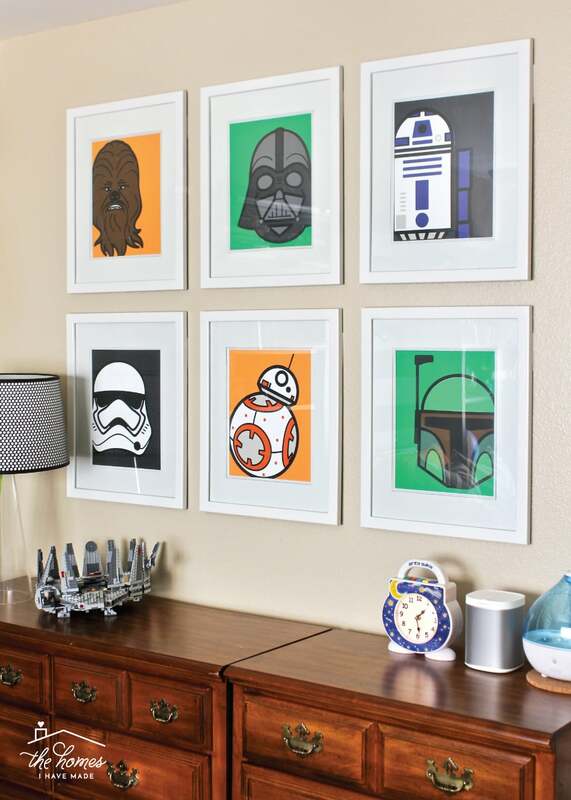 I Love the Starwars art prints! This is a really cool room. I bet he loves it. You are a cool Mom! I think this looks amazing! 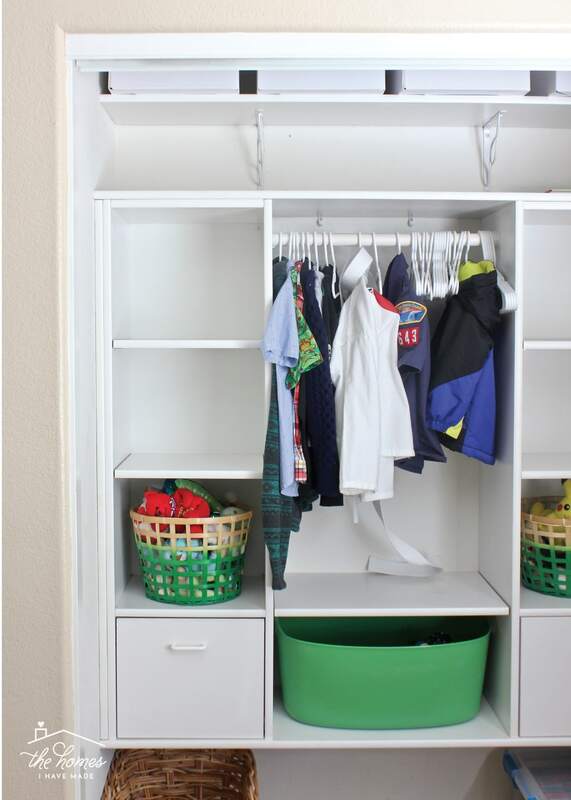 I am now inspired for my son’s little room which is also overflowing with toys he doesn’t use, and clothes which no longer fit. I now have something to aspire to!